To begin to develop tolerance and understanding of different cultures and beliefs by visiting a place of worship in their community. 52 nursery children and 14 in reception class. Teachers, nursery nurses, teaching assistants and other helpers. In a previous topic on festivals, the Foundation Stage children had visited the church to hold a mock wedding ceremony. In the week before the church visit, we looked at big books on churches and had class discussions about church ceremonies. The children brought in photos to show their friends their experiences of churches and other buildings they had visited. Using the interactive whiteboard, we also viewed church buildings, their features, sounds and ceremonies. How did we organise the learning? During the visit, the children explored the church building and some of its features, for example, the cross, font, altar and sacraments. The priest showed his cassock and surplice and the coloured stoles used at different times in the Christian year. He also demonstrated a baptism using a teddy. The children walked around the church both inside and out. They made drawings and used digital cameras to record their favourite features. 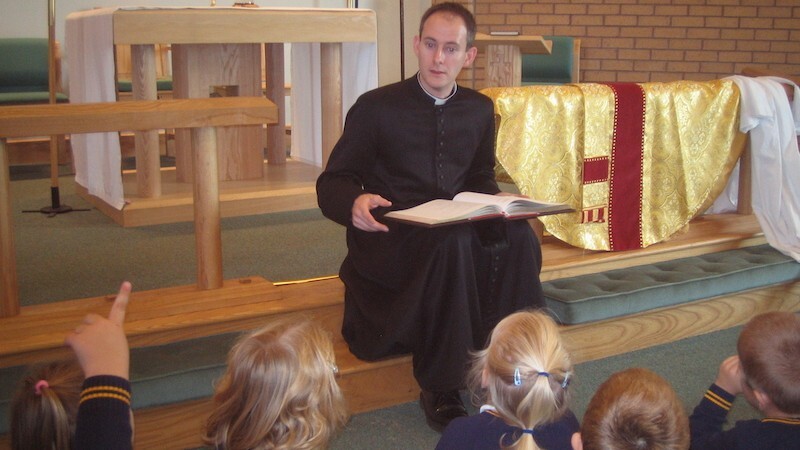 The children also sang some songs while the priest played his guitar. Towards the end of the visit, the children showed their parents around the church and explained their drawings and photographs. What was the impact of the experience? In the days following the visit, we compared and contrasted the church to other buildings used for worship, for example, the mosque. We then learnt about St Francis the builder and discussed his role as a saint.